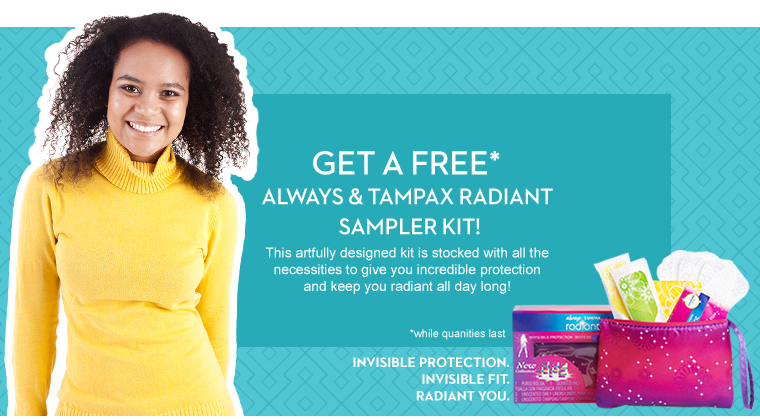 Request aÂ free Tampax Radiant and Always wristletÂ filled with samples directly from Procter & Gamble. Your freebie probably includes: wristlet, scented pad, 3 unscented liners, and 3 unscented tampons. Get ESPN Magazine for Just $5.